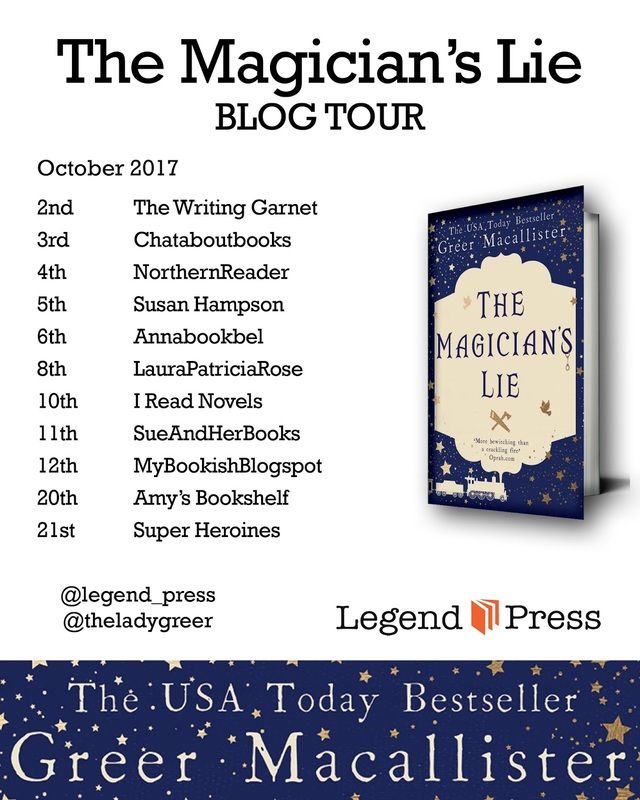 A rare weekend post today and it's for my stop on The Magician's Lie blog tour. 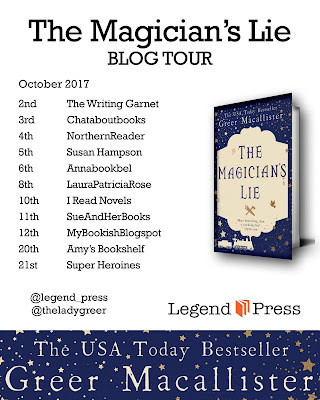 My stop on the tour brings an exclusive sneak peak at chapter one and I definitely think it will make you want to read more! Tonight, I will do the impossible. The impossible is nothing new to me. As I do every night, I will make people believe things that aren’t true. I will show them worlds that never existed, events that never happened. I will weave a web of beautiful illusion to snare them, a glittering trap that drags them willingly with me into the magical, false, spellbinding world. Before that, I will gather my strength. I will remain motionless, barely even breathing, here in this chair, while preparations happen around me, to me. I feel the feathery touch of brushes on my cheeks, on my chin, as my face is made up for the stage. I feel a heavy thumb press down on my eyelid. Another hand lightly, lightly edges it with kohl. Fingers twist and pin my hair into place, snap a heavy gilded bracelet onto my wrist. It’s not possible to ignore the hands, but I focus on not reacting to them, on not reacting to anything. I go through the act inside my head, rehearsing my 12 patter and my gestures, seeing the whole night unfold. I welcome the crowd and take charge of the theater. I produce hats from nothingness. I transport coins through the air with a snap of my fingers, turning gold into nothing into gold again. The details of each scene bloom and dive and swarm through my head as I picture the evening from first curtain to final bow, here in the chair, silent and still. Without giving any outward sign, I dance on the inside, hearing every trilling and tender note of the music, practicing every elegant step. When it’s time, I rise on command and step into the dress held out for me, bowing my head. The dress is always last. This is how we proceed every night, and at least in this way, tonight is the same as every other. The hands close up the back of the dress, waist to neck, and then turn me around to pass three tiny buttons through three tiny loops, covering my throat, and my costume is complete. Onstage I will act as I always act. I will do many impossible things. I will make mysteries of scarves and coins, enchant the audience sweetly, misdirect their attention to take them by surprise. I will entertain and flatter. Then I will close the show, as I always do, with the Halved Man. I will cut a man in two, severing him through his trunk, and he will scream for mercy as the blood pours forth. The audience will be unable to believe what they see, but neither will they be able to reject it. It will look entirely real. Then I will heal him. He will spring up whole again, wiping away the blood from an expanse of flawless skin, as if there had never been a wound. My healing powers are legendary, though no one really knows their true extent. They don’t know how I wish away my own injuries, the cuts and bruises, the burns, the broken bones. It isn’t part of my legend, but it’s part of my life. I’m escorted to the stage, as I always am, another set of footfalls moving exactly in concert with mine. This is the routine now, every night. 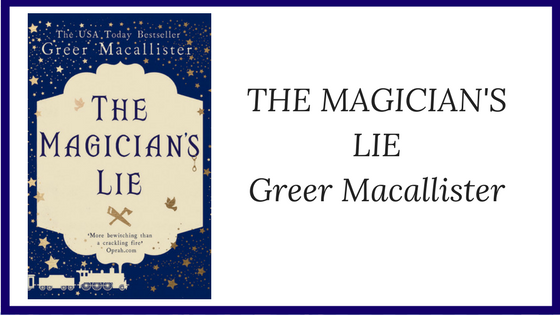 This is the life of the most famed female illusionist in the world, very nearly the only one in existence, the life I have made for myself through luck and talent and sheer will. This is the life I have decided to leave behind. This is the life I will end. Tonight, I will escape my torturer, once and for all time. Tonight, I will kill him.